Kennington Noir Presents The Crooked Way (1949), directed by Robert Florey, and starring John Payne, Sonny Tufts and Ellen Drew. Featuring the wonderful dark and atmospheric cinematography of John Alton. 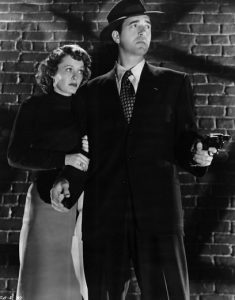 Post-WWII films were festooned with amnesiac ex-GIs finding themselves mixed up with crime. 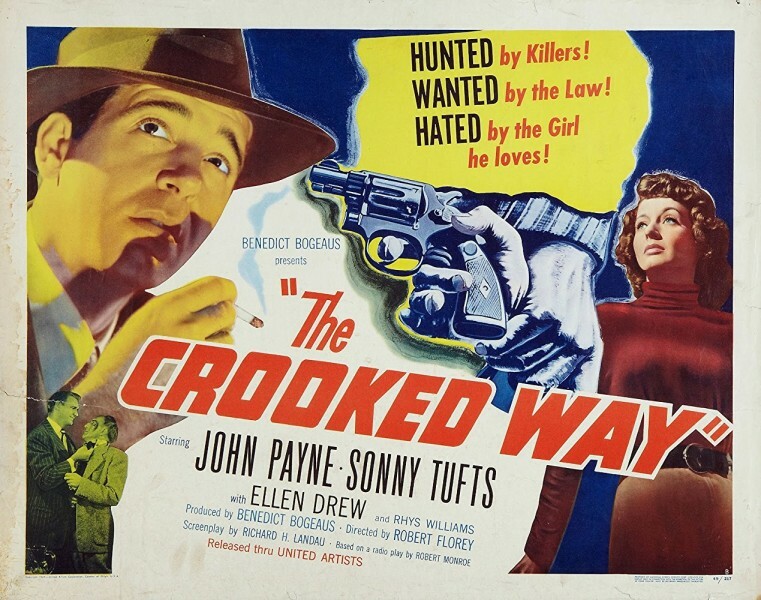 In The Crooked Way, John Payne plays memory-deficient veteran Eddie Rice, who runs foul of a mobster (Sonny Tufts) and a police inspector. Both the crooks and the cops seem to have good reason to despise Rice, and he’d like to find out why. He won’t get any help from his wife Nina (Ellen Drew), however, since she is as hostile towards Rice as everyone else. Gradually, Rice puts the pieces together and discovers that he’s far better off not remembering his former self. Digital presentation plus supporting programme.